The joint record holder for most clubs played at in the Segunda currently plays at Hércules - and his record is 10 clubs. Striker Óscar Díaz González started out in the Segunda B with hometown club Alcorcón in the 2004-05 season. And the 33-year-old returned to the Segunda B this summer by signing for Hércules. But the 12 seasons in between have been full of ups and downs in the top two tiers. His strong performances with Alcorcón, scoring six goals that season, earned him a move to a small neighboring team by the name of Real Madrid Castilla, in the second division. After just 559 minutes of action all season, in July 2006, Díaz signed with fellow league club Elche. After being a regular in his first season, he lost his first-choice status in his second year, and he joined Mallorca in July 2008, being immediately loaned to Celta de Vigo also in the second level. Díaz eventually returned to the Balearic Islands in June 2009, but after not being included in manager Gregorio Manzano's plans, he joined Recreativo de Huelva on loan in January of the following year. He eventually left Mallorca in 2010, and moved to Xerez the following month. After one and a half years with the Azulinos, Díaz joined division two's Girona for an undisclosed fee. However, he failed to make an impact for the Andalusians, terminating his contract in June 2012 and signing with Lugo. 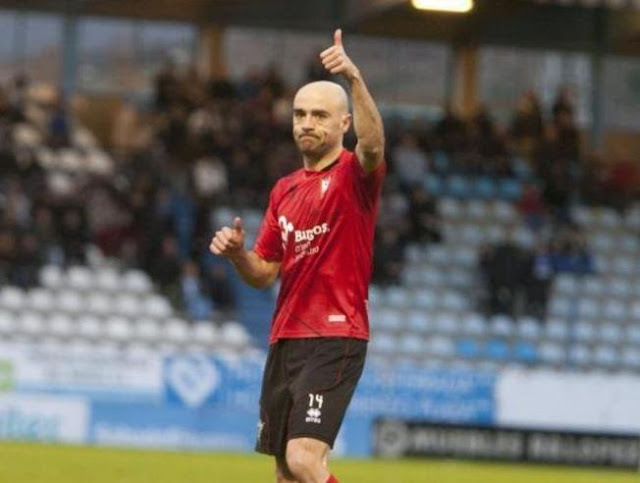 It was at Lugo where he shone - given a starting role by Quique Setién, Óscar Díaz scored 15 goals in 38 league games and earned a move to La Liga side Almería in 2013, at the age of 29. In late March, he scored four goals in eight games to help the rojiblancos narrowly avoid relegation. Since then, he has played with Real Valladolid (2014-15), Numancia (2015) and Mallorca (2016, and the 2016-17 season) - all in the Segunda. A few weeks ago, I wrote a piece called "When Eibar gave 31-year-old Raúl García a shot at professional football". But he was just one cog in a Segunda B team's machine. In the 2011-12 season, Mirandés enjoyed their best season yet - not just winning the promotion playoffs against Atlético Baleares but also enjoying a dream run in the Copa del Rey, reaching the semi-finals by defeating Amorebieta, Linense (both Tercera), Logroñés (Segunda B), Villarreal, Racing de Santander and Espanyol (all La Liga). The player who Mirandés fans will always keep in their hearts is someone, ironically, from Burgos. He spent until the age of 29 in the Tercera. Pablo Infante played at youth level with local Real Burgos CF, Vadillos CF and Racing Lermeño. He started playing senior football at the age of 19, for Racing Lermeño (1999-02), Río Vena (2002-03) and Arandina (2003-05). In 2005, Mirandés acquired his services while in the fourth division. Pablo Infante was a constant in an ever changing squad, helping the team to the Segunda B in 2009. In 2011-12, his name became known in Spain after the Castile and León club's performances in the campaign's Copa del Rey, disposing of La Liga clubs Villarreal and Racing de Santander, with the player scoring four of the team's six goals in those four matches, and eventually being crowned the competition's top scorer; in the domestic league, he netted 13 goals in the regular season alone to help the side promote to division two for the first time ever. 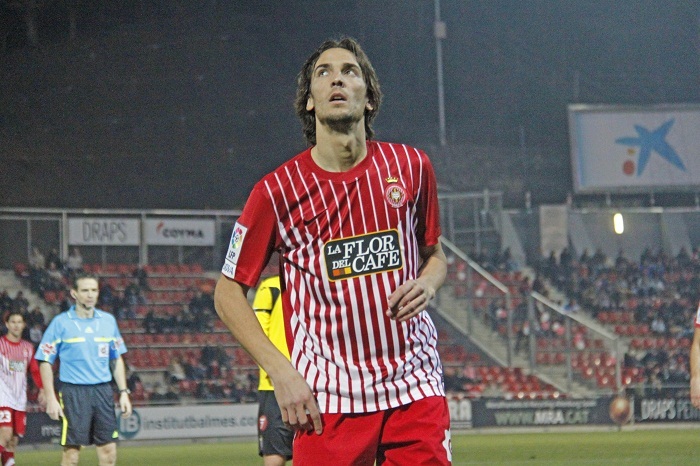 At the age of 32, Pablo Infante made his professional debut in the Segunda, and in the 2013-14 season he even scored nine goals. 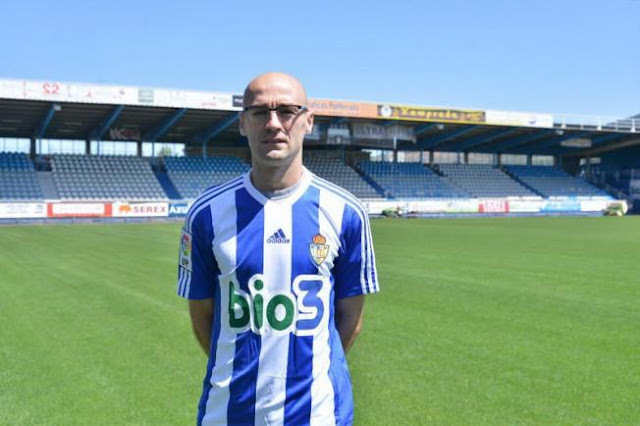 He subsequently played for Ponferradina for two seasons (2014-16) in the Segunda, before retiring. But even nine seasons with the Rojillos may not have cemented his place in the club's history. It turned out that Infante spent years refusing offers from club in higher divisions due to his work as director of a bank branch, located 50 kilometers from Mirandés' facilities. It was a job he left in his final season at Ponferradina. It begs the question - how many players would have given up beforehand? Pablo Infante probably would have - after Río Vena's relegation to the fifth tier it was a late phone call from Arandina that saved his footballing career. Perseverance, combined with luck, made him a legend. Barring unexpected circumstances, by the end of this season he would have broken another record. Yes, as DJ Khaled would say, "another one". When it comes to the top 3 tiers, he is the record holder in seasons played, matches played, matches started, number of draws and minuted played. And by the end of this season he can add complete matches played too. And admit it, you don't even know his name.